Cheap Car Insurance Brampton, Compare Lowest Quotes & Save! Getting Cheap Brampton Car Insurance Quotes Is Easy! ThinkInsure has provided the best and cheapest car insurance coverage in Brampton and the Peel Region for over 45 years. 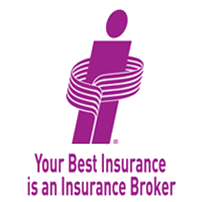 Find out why Brampton residents prefer ThinkInsure as their auto insurance provider of choice. Save Money : As an independently owned company, we’re able to get you quotes from over 40 leading insurance companies. Our average customer saves over $400 each year. Cheap Insurance Without Sacrificing Coverage : We will not only help you save money and get cheap car insurance rates, we’ll also get you the insurance coverage that will meet all your driving needs. Brampton Car Insurance Quotes From 40+ Companies : ThinkInsure provides you with options. Get car insurance quotes from our insurance partners to save money, and choose the coverage that makes the most sense for you and your family. Customer Satisfaction : We always put your car insurance needs first. We take pride in delivering a high-level of customer service and satisfaction. Our team of experienced insurance experts is always here to help you with all your auto insurance needs – questions, claims, coverage, quotes, and more. Car Insurance Made Easy : Whether you get an online quick quote or you call 1-855-550-5515, the cheapest car insurance rates in Brampton are only minutes away. Shop now! Whether you choose an Online Quick Quote or to call our toll-free number 1-855-550-5515 our insurance experts will make getting car insurance a simple and easy experience. Get your car insurance at the cheapest rates in Brampton by choosing ThinkInsure. Getting a car insurance quote in Brampton is important for drivers who want to get the cheapest car insurance rates. Brampton, located in the region of Peel, and similarly to Toronto and other cities in the Greater Toronto Area, tends to have higher auto insurance rates than in other cities in Ontario. One of the main reasons for the high rates is that Brampton has the highest crash rate in Ontario, something that poses a threat to drivers and increases your overall risk when driving. According to Transport Canada’s Canadian Motor Vehicle Traffic collision statistics and a report by 680 News, Brampton leads the way in the number of collisions. However, the study also found that locations with the highest crash rate were all within a 45-minute drive of Toronto, also locations where drivers in Brampton visit regularly for work, shopping, entertainment, or even to visit family. Since drivers in Brampton are at a higher risk of being involved in a crash, it’s even more important to ensure you have high quality car insurance coverage and get a car insurance quote each time your policy comes up for renewal to ensure you are getting the cheapest auto insurance rates. Learn more about how to get the cheapest car insurance rates by reading our Top 10 Car Insurance Savings Tips. No two drivers are the same. This is what makes shopping for Brampton car insurance quotes so important. Depending on your level of experience, where you live, and even the type of car you drive, your rates could vary by hundreds of dollars from insurer to insurer. Whether you’re a young driver with a G1 or G2 license, a senior who just purchased a new car, or someone who’s had some bad luck and been in a few car accidents, ThinkInsure can help you get the best auto insurance rates for your unique driving situation. Since we know that your time is important to you, rather than getting Brampton car insurance quotes from a number of different car insurance companies, why not let us to the shopping for you? Working with our experts will save you time, give you access to quotes from more than 40 of the top insurers in Ontario, and ensure you have someone who is looking out for your best interests. 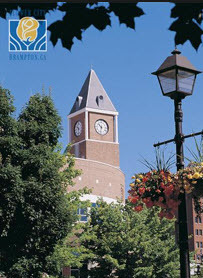 Brampton is the third largest city in the greater Toronto Area with over 500,000 residents. It is also home to one of the most congested roadway systems in the country. Each day, hundreds of thousands of drivers commute to and from the city. Coined “The Flower Town of Canada” and located close to Pearson International Airport, traffic continues to bloom as the city continues to grow at a faster pace than most municipalities in the province. This means plenty of traffic, construction and long commutes for the average driver. While the city is known for its main road, Queen Street, it is also served by many major roads and highways, including Steeles Avenue, Highway 401, providing access to Toronto and Mississauga, Highway 410, which runs through the middle of the city and is one of the city’s main traffic arteries, Regional Road 107 (formerly Highway 7) and, if you feel like paying the toll, Highway 407. With so many vehicles on the roadways, it’s no surprise that Brampton is one of the most expensive cities in Ontario for auto insurance rates. Combine this with the fact that there are more accidents in the region, and it’s extremely important to shop around for car insurance quotes in Brampton to get the cheapest insurance rates possible, given your driving record and situation. Learn more about driving in Brampton by checking out the cities Roads & Traffic section on their website. Time to renew your car insurance policy? Get an Online Quick Quote or call toll-free 1-855-550-5515 and start saving! Driving in Brampton requires your utmost attention. With so many vehicles on the road, large volumes of traffic to manage, and no shortage of distractions, you need to keep your eyes on the road, drive with care, and make good driving decisions. According to the Peel Police, over 2,000 vehicles are stolen annually from the Region of Peel – the most common locations from which cars are stolen include GO train stations, airports, malls, and residential driveways. The most commonly stolen cars are the Ford F350 and Honda Civic. Brampton has the highest crash rate in Ontario. December is the month with the highest rate of accidents. According to the Ontario Road Safety Annual Report, 2013, there were 5,342 total collisions, with 7 being fatal, 1,273 causing personal injury, and 4,062 causing property damage. There is an average of 14.6 accidents per day in Brampton. With so many threats to your vehicle and driving record, you need comprehensive car insurance coverage to protect your interests. ThinkInsure can help you get car insurance coverage that makes sense for your situation. Brampton, much like other cities in Ontario, has its own set of unique driving situations. Whether you are a Brampton resident and drive the roads daily, or you are new to the area. Get A Transponder : Invest in a transponder for the 407. The 407 is a great alternative option. But, without a transponder, you will be charge a video toll fee each time you use the highway. Use The 407 : If traffic is backed up, or there is an accident on one of the major highways, consider taking the 407 ETR. This will save you time. Keep You GPS Updated : With the infrastructure changing so frequently, it’s important to keep your GPS updated. Watch For Closers & Construction : Stay up-to-date on road closures and construction that could slow down your daily commute. Check Traffic In Advance : Always check the traffic report before hitting the highway. This way you can plan an alternative route. Plan Ahead : Plan for traffic – give yourself some extra time to get to your destination. Get An Aftermarket Alarm : Invest in a good car alarm and other vehicle security features to protect your car and lower your car insurance rates. Avoid Rush Hour : Try to avoid driving during peak traffic times in the morning and in the afternoon. If you are planning a road trip in the Brampton area or GTA, check out Toronto And GTA Road Closures - 2016 Guide to more effectively plan your trip, and avoid road closures and construction. How Does Living In Brampton Impact My Car Insurance Rates? The simple fact that you live in Brampton or in close proximity to the city in the Peel Region will have an impact on how your car insurance rates are determined. The high accident rate alone will impact your rates, making it very important to drive with care, avoid accident claims, and do everything you can to get cheap car insurance rates in Brampton. Learn more about How Are Ontario Car Insurance Rates Determined. Talk with our experts at ThinkInsure to find out if you quality for car insurance discounts. Depending on how often you drive, you could qualify for a low kilometer discount, you could save money if you are a senior, or by bundling your auto insurance with your home insurance policy. Get an Online Quick Quote OR call toll-free 1-855-550-5515 and start saving on your Brampton car insurance. Ready to get a Brampton car insurance quote and save? Get an Online Quick Quote OR call toll-free 1-855-550-5515 and save money while getting the Brampton car insurance you need!